27 countries. Here we would like to announce the result of the contest. years old, 12-15 years old, 16-19 years old and 20 years old or older. select but 5 works were added because so many high quality works were entered. 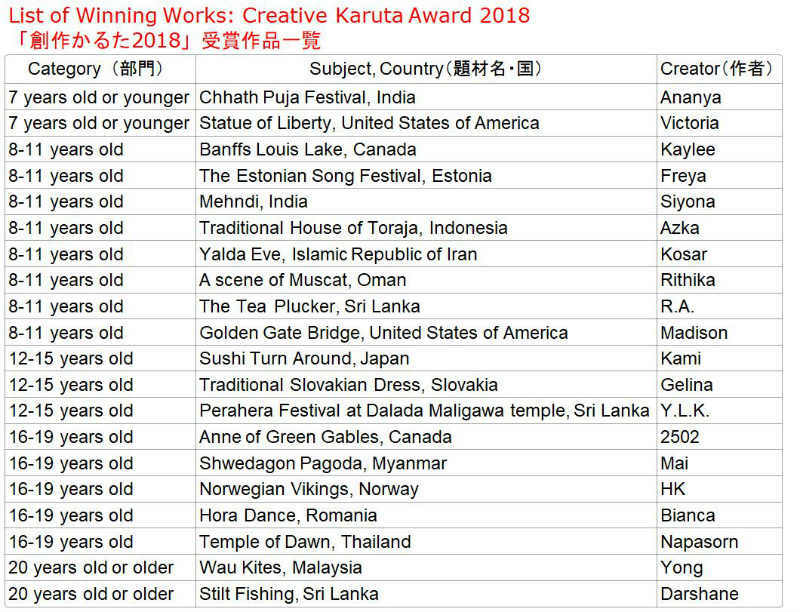 The winners will receive a set of karuta cards ‘Global Karuta 2018’ showing the all winning works at the Award Ceremony. All winning original works will be exhibited on the ‘Karuta Festival 2019 and be published on ‘Karuta 2020’ website after the Festival.